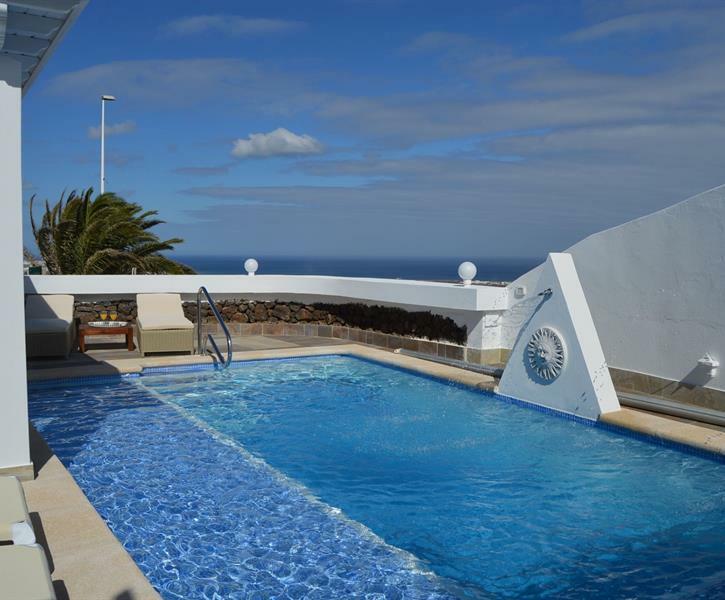 Luxury detached villa with stunning views.Private heated pool with water feature, WIFI , A.C., game room with darts and pool table. Annex studio. 9 of us stayed here for 9 days and the owner was very accommodating with our arrival times. We were 2 families and the villa was spacious enough for all of us. She meet us at the villa and showed us around. Everything that you need was there including inflatables for the pool. The pool table & darts kept the kids quiet and the smart TV was a great asset. The view from the balcony in the evening was lovely. The area had everything that was needed, we did hire cars but buses and taxis from Tías were available all the time, so car hire not always needed. Would definitely recommend, in fact we are looking at another of the owners properties for our next family holiday. Overall had an amazing time, Thank you Teresa.